FasTrax Solutions Has Partnered With Hewlet Packard (HP) To Deliver The Hardware, To Help Drive Your Success! While you certainly have the option to find and utilize your own compatible hardware, FasTrax Solutions sells HP bundled hardware systems due to their proven functionality and reliability. We have thousands of HP units in the field and believe they have the most reliable POS hardware to ensure maximum uptime so that your equipment is ready to do business whenever you are. There is a huge incentive to purchasing your hardware through FasTrax Solutions. We are so sure HP provides the best POS hardware solutions, we directly support the hardware we sell as part of our Lifeline technical support suite of services. While we can troubleshoot hardware not purchased through FasTrax Solutions, assistance may be somewhat limited. Get additional peace of mind with HP’s 3-year on-site warranty for the computers and 3-year advanced replacement warranty on all the peripherals you purchase through FasTrax Solutions. Should your computer or any of its components malfunction, simply contact FasTrax Solutions and our team of technicians will troubleshoot your equipment for you. Should it become apparent that the computer or component needs replacement, they’ll send you a new one as soon as next business day and simply ship the faulty equipment to HP in the same box the new one came in. Add a 1- 2-year warranty extension for a small fee, giving you 5 years of total protection and in addition receive onsite for both the CPU and all the peripherals. From software to hardware, FasTrax Solutions is fully committed to keeping your POS system operating efficiently. 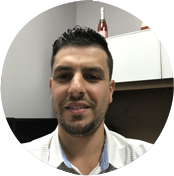 FasTrax will be the best employee you’ll ever have! Partnering with HP for all our POS hardware enables us to use bulk ordering to give you the best possible price on your equipment. Find all the tools you need to need to streamline your retail operations. Choose a complete POS bundle solution or just the hardware you need. Use our Hardware Configuration Tool below to get an estimate of cost and options for your store's POS Hardware. Click the "Hardware Configuration" button to show the price configuration tool. By clicking the switch next to individual hardware options, the hardware package price will change to reflect your selection. Designed and tested to work as hard as you do. Create a welcoming point of contact for your customers with a contemporary design that has edge-to-edge, 15.6”diagonal, 10-point multi-touch glass and optional integrated peripherals. Create a welcoming point of contact for your customers. Make a confident IT choice with a reliability-tested system that has built-in security and manageability. A complete All-in-One with a range of hardware options including the stand, customer-facing displays and integrated HP peripherals such as an imaging scanner, cash drawer, receipt printer, fingerprint reader, and more. 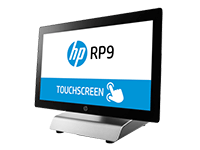 Get the flexibility and expandability to control everything from the store floor to the back office with the HP RP5 Retail System, Model 5810, an all-around high-performer that stands up to the rigors of a retail environment so you can focus on making sales. 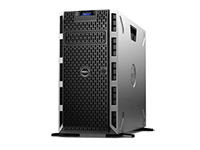 The Dell PowerEdge T130 is an outstanding first server or replacement server for driving collaboration and productivity applications and delivers performance. 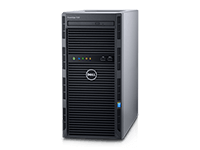 Accelerate performance in office environments with a powerful 2-socket tower server featuring an expandable design and quiet acoustics. 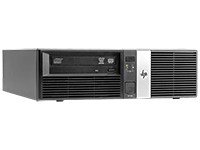 The PowerEdge T430 tower server delivers powerful 2-socket performance, expandability and quiet operation to small businesses and organizations.The T430 is an ideal choice for a wide range of office workloads. The Unitech PA720 is an Android handheld computer built on the most popular mobile platform. Rugged and built to last, the PA720 is both powerful and versatile. It features a quad-core processor to support the Android 6.0 operating system. Connect all your mobile workers to home base with the push-to-talk feature and dual camera. 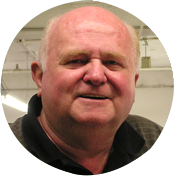 Vice President, Town Crier, Inc.
FasTrax Solutions has been an integral part of our business for the last 10+ years. I have tested and researched hundreds of POS systems. FasTraxPOS is the easiest system I've ever used! We save countless hours and dollars on training. Our employees love using the system. I've even had a competitor call to see what we're using. 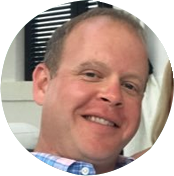 What used to take 3 to 4 employees an average of 12 hours per day to count each store (we have 4) now only takes 3 employees an average of 4-5 hours with Fastrax, and with much better accuracy, utilizing 3 handheld wireless scanners with the FastraxPOS software... their software is reliable and efficient. HP 14” Customer Facing Display, L7014 RPOS MONITOR U.S. If you choose to utilize your existing, compatible hardware (computers, peripherals, servers, handheld equipment, etc. ), there will be a charge of $150 per hour/per device for FasTrax Lifeline technical staff installation and/or configuration. Please confirm existing equipment meets the minimum specs listed below. Any existing POS peripherals (Barcode Scanner, Receipt Printer, Cash Drawer, and Pole Display) will need to be confirmed as OPOS configurable. Please confirm existing hardware Microsoft operating systems and Microsoft SQL Server Standard versions meet the minimum specs listed below.